Did you know that when Peter Rabbit first hopped down a bunny trail, he wasn’t delivering chocolates and candies like Peter Cottontail? Instead, he was running from Mr. McGregor, from whose garden Peter had been stealing carrots and lettuce. That’s right! The Easter Bunny would probably cringe if he saw what is often included in today’s Easter baskets, because he was all about the veggies! If you have diabetes or have kids or loved ones who do, Easter can be a challenging holiday for managing blood glucose levels. Everywhere you look, there are temptations in the form of savory lamb and potato dishes at the dinner table as well as chocolate eggs and fluffy marshmallow bunnies. Now there is even Peep-flavored soda! 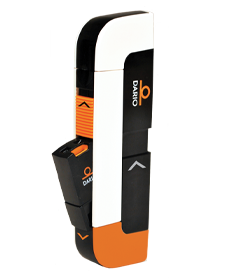 But Easter doesn’t have to revolve around sugar or have you worrying about the numbers popping up on your Dario Glucose Meter. In fact, your kids may not even notice the missing sugar if they have a basket filled with fun. Books, yo-yos, trading cards, and jump ropes can offer just as much fun as sugar-coated confections, and if those don’t work, an iPod shuffle or a Nintendo DS might. The holidays can be a challenge for people with diabetes, but they don’t have to be a bummer. Just remember that having fun, connecting with friends and family, and getting some great pictures to share on Facebook are more important to holiday memories than chocolate temptations. Learn how to thrive with diabetes with our all-in-one personalized smart glucose meter. 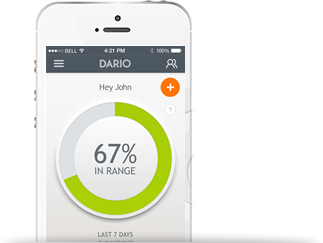 Learn more about diabetes management at www.mydario.com.